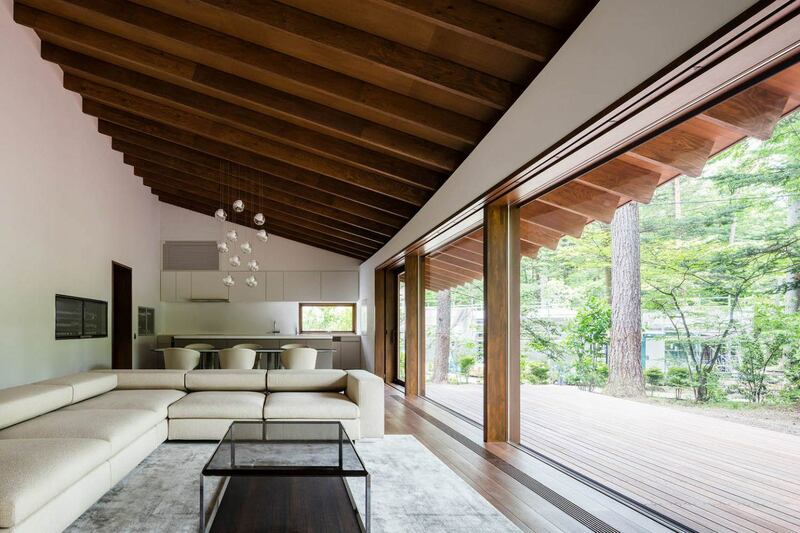 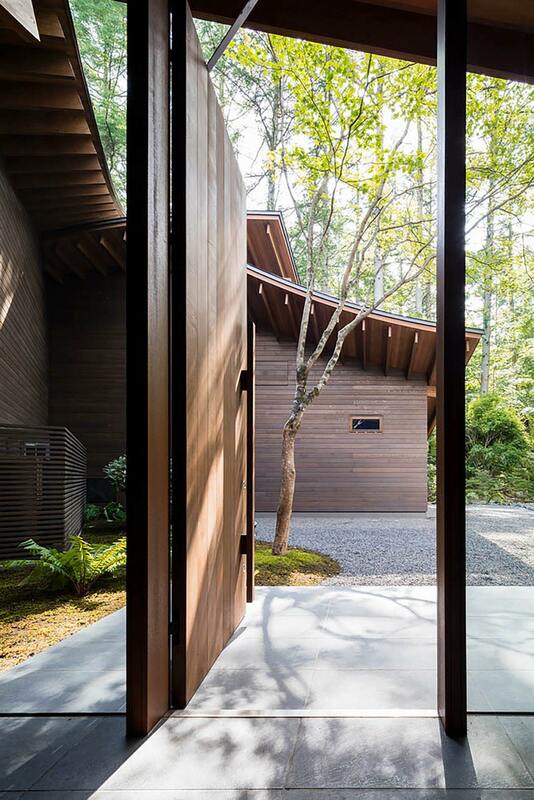 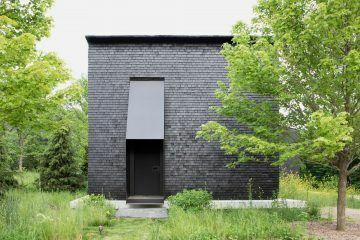 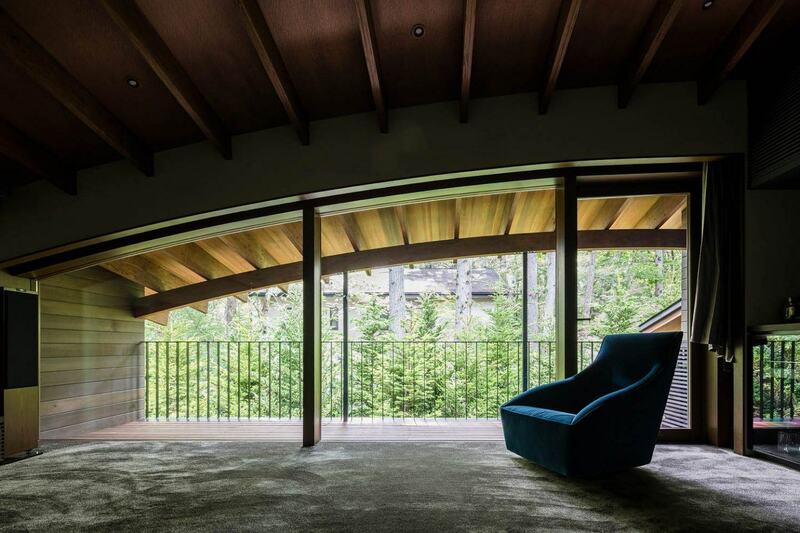 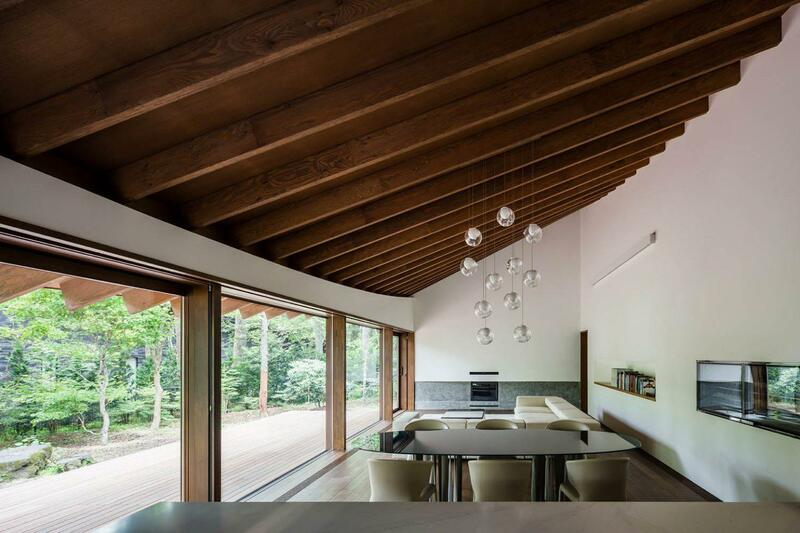 In a forested area of Karuizawa stands ‘Four Leaves Villa’, a holiday home 150 kilometers from Tokyo that Kias Architects designed in mimesis and appreciation of its natural surrounds. 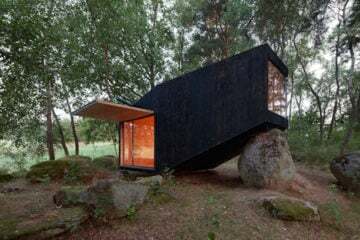 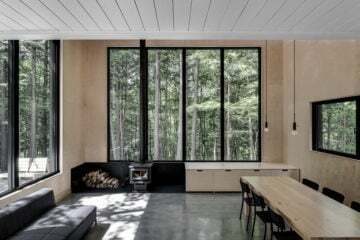 The elements of the house have been arranged around aspects of the surrounding environment that best suits their function. 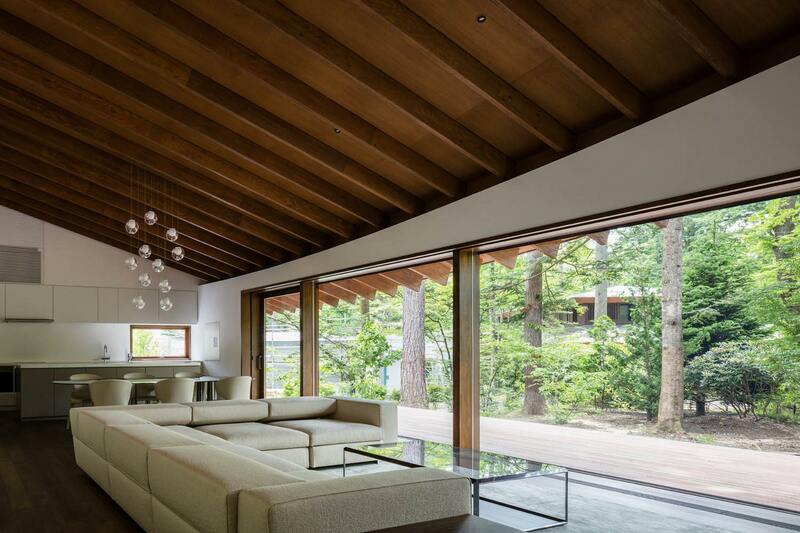 The living and dining area faces southeast, giving the home a consistently bright and warm communal area. 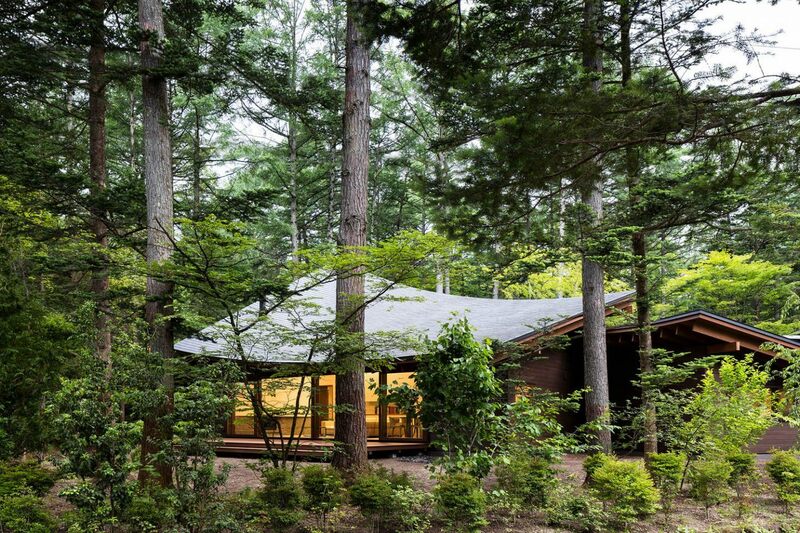 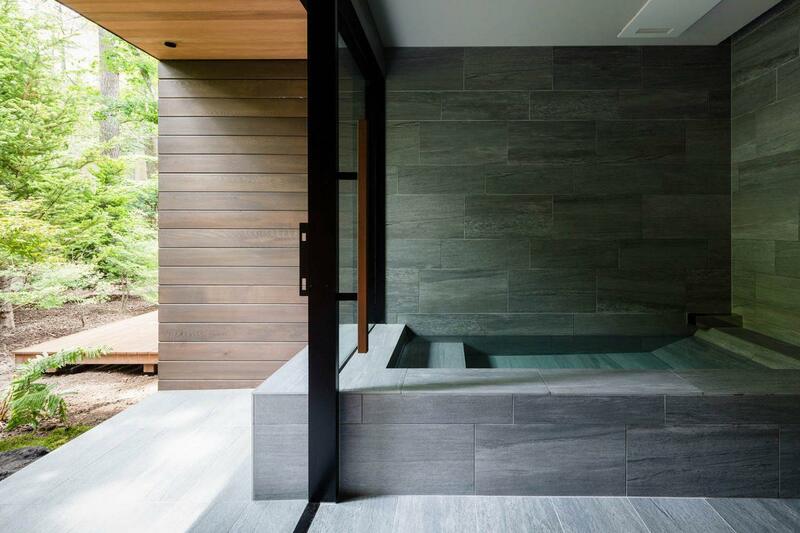 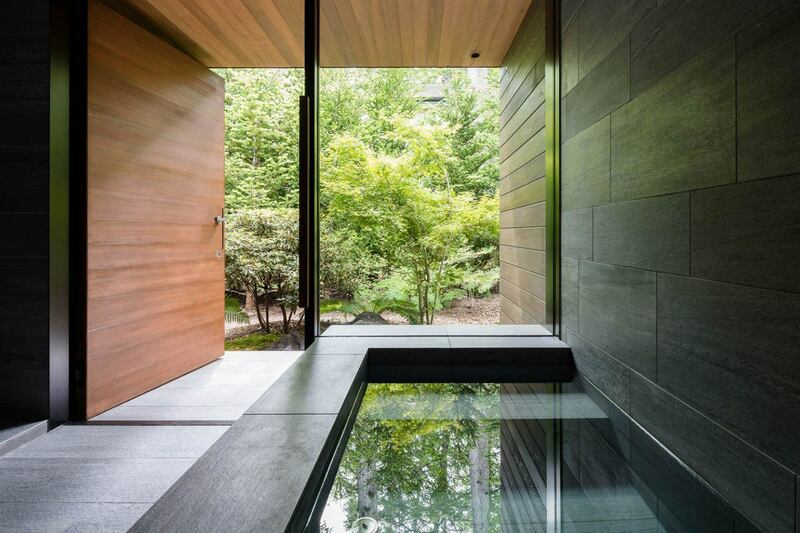 The master bedroom and bathroom face west, cozying into a densely wooded area of the forest. 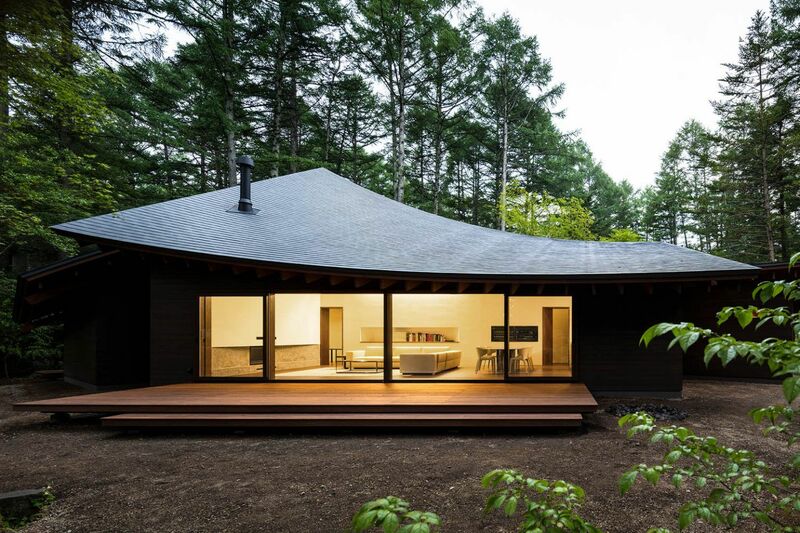 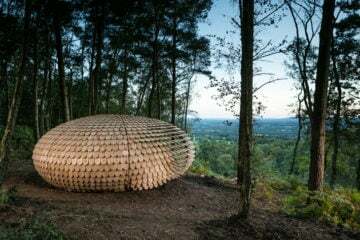 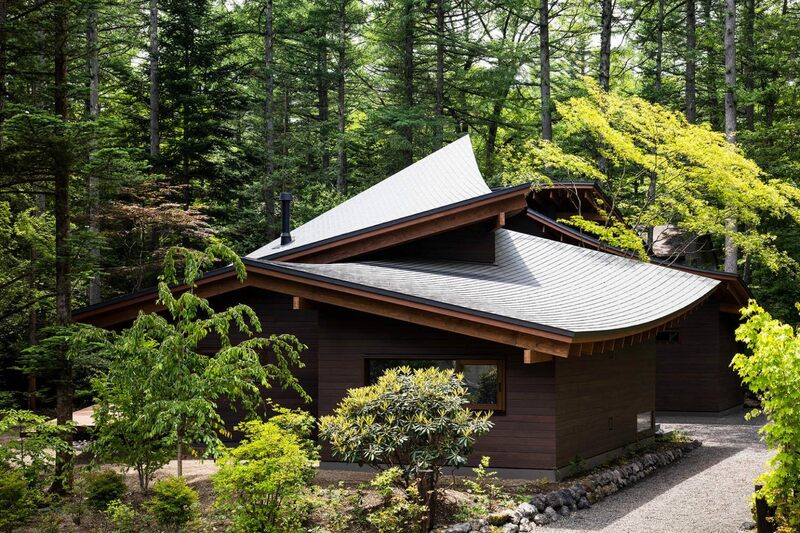 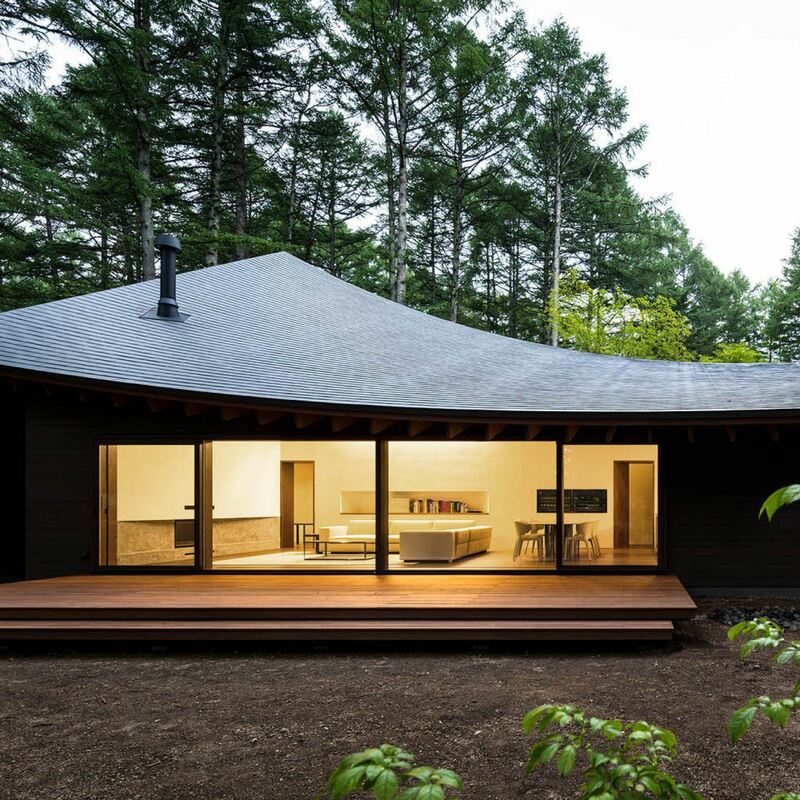 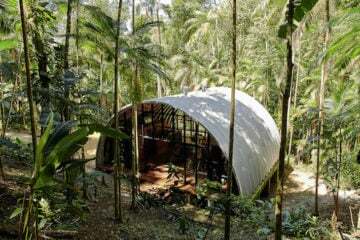 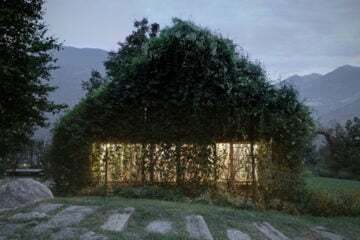 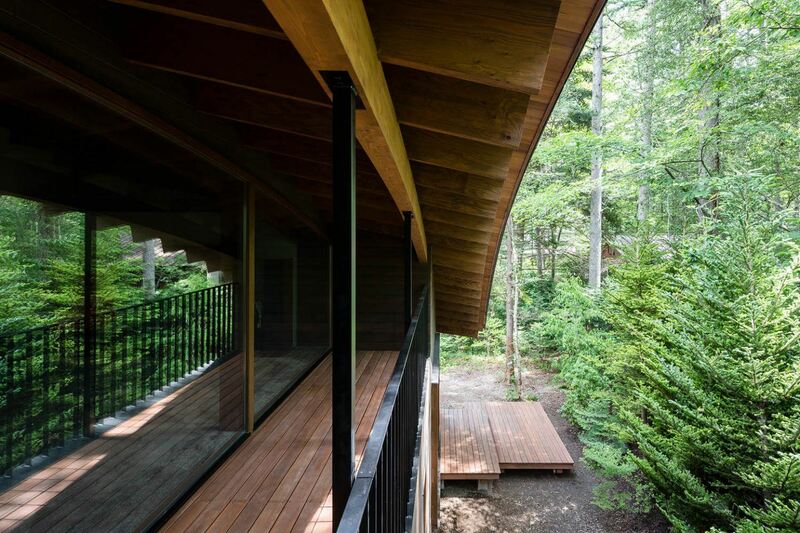 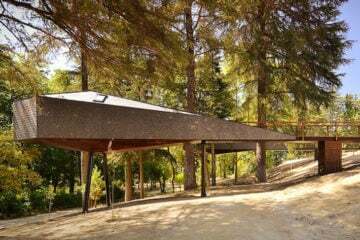 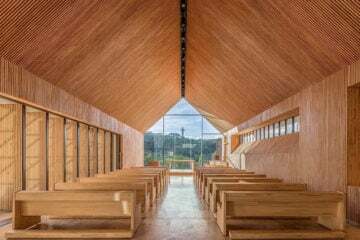 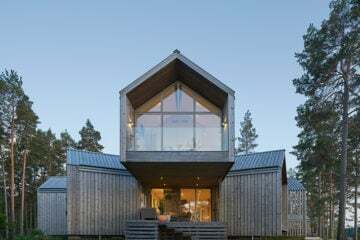 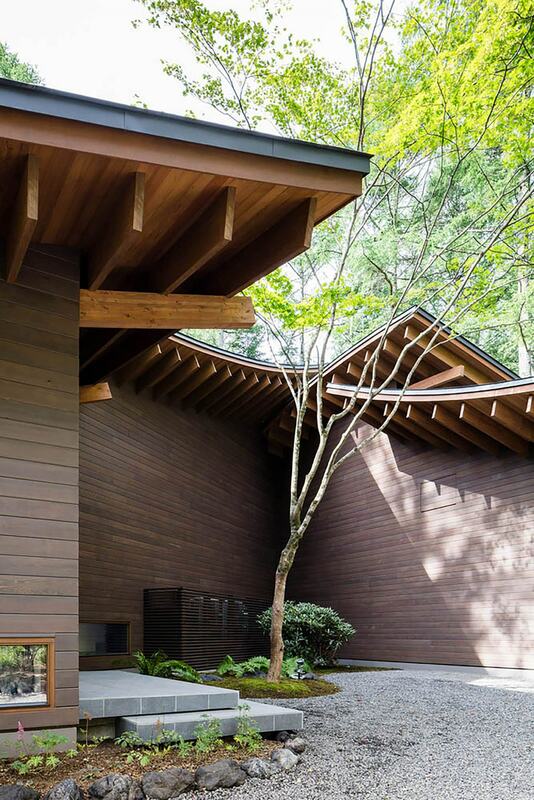 The layout of the house has also drawn aesthetic inspiration from the landscape: the concave and convex roofing was designed to mimic “gently twisted leaves”, the architects explain. 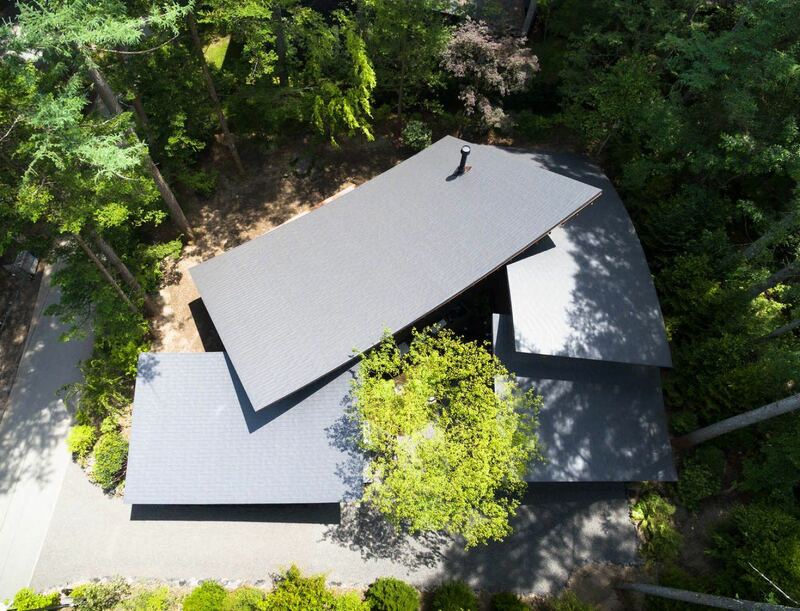 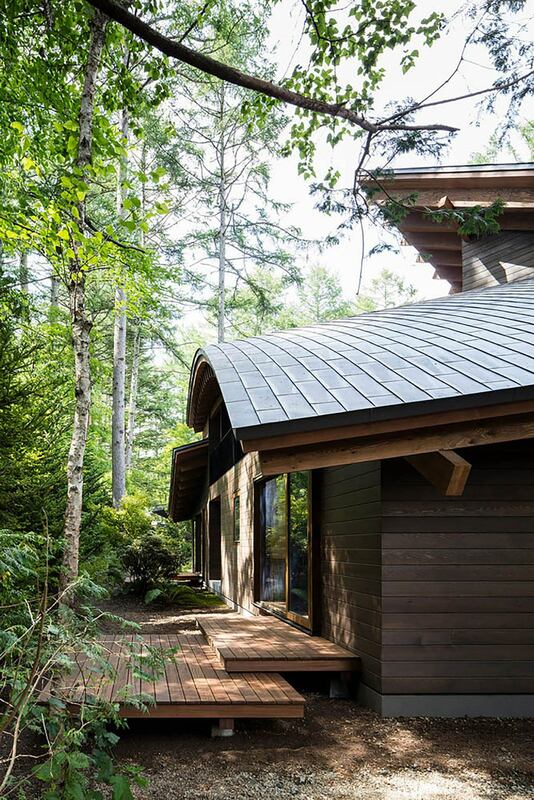 This uniquely annular roof was created using straight laminated veneer, giving the home an organic geometry with mathematical proportions. 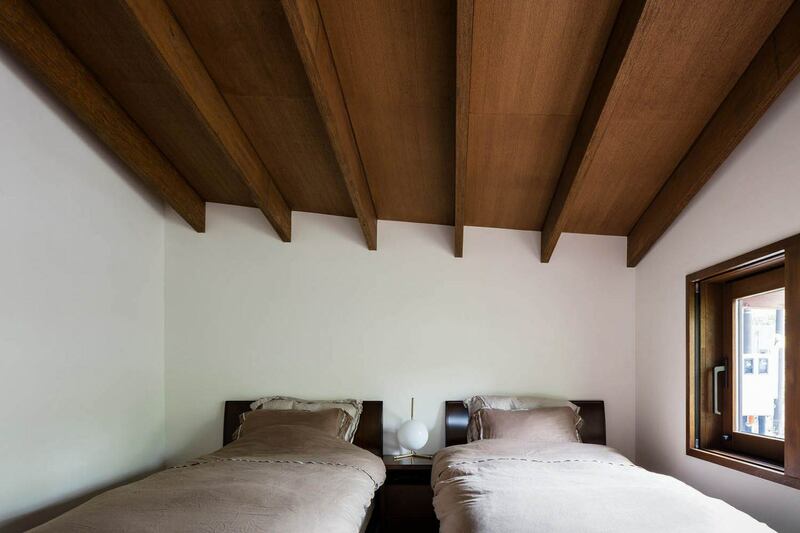 The beams have been left exposed, adding detail to the high dark wood ceilings.